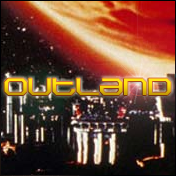 Outland is based on the corporate and naval signage lettering found in Sean Connery’s early 1980s movie Outland. Includes full alphabet, extended punctuation, Euro. Includes regular, italic, bold, bold-italic, black, and black-italic weights. This entry was posted in Font Updates on May 24, 2016 by Jaynz.